Is your organisation agile and responsive to the changing world economy? Are you executing strategy better than your competitors? How robust is your management system and decision making processes? How well is your team focused on the key strategic priorities for your business? How well is your team prepared to meet the challenges of your industry? A recent boardroom meeting among top CEOs and other renowned thinkers drew up major concerns facing the Indian industry for the near future: innovation, differentiated services and products, profitable growth, risk management systems, absence of scientific management frameworks, aligning employees, processes, IT and culture to strategy and vision, brand and value proposition, and so on. The issues were far too numerous but could be classified broadly into four areas: Strategy and planning, customer value proposition, internal processes to drive efficiency, service excellence and growth, and learning and growth agenda covering human capital, information capital and organization capital. As the government embarks on the inevitable liberalisation drive, turbulence will be something all sectors will feel more than ever. Are we ready for the same? Unlike any other summit you have ever attended, here is the blockbuster event that brings you solutions to your everyday issues. For the first time, a leading management guru is presenting materials never presented before. Few people have contributed as significantly to the art, and especially the science, of business strategy as Dr Robert Kaplan has. Business leaders’ number one priority is strategy execution. Dr Robert Kaplan, the guru who gave us two revolutionary management concepts, Activity Based Costing and Balanced Scorecard, will be leading the full day high level executive summit for the first time. This event will be one of the top notch events of 2010. As you are aware, his Balanced Scorecard is the premier tool for linking a company's current actions to its strategic goals. His activity based costing framework including the latest time-driven activity based costing has become the hallmark system for managing costs and increasing profitability. His current work on risk management with IMF and others sets a new paradigm with the new three-level risk management system. Absolutely brand new content never before presented in India. Do not miss the opportunity to educate yourselves and your employees. The more people get familiar with these revolutionary and proven concepts, the better your organization will be to reap breakthrough benefits. For the fifth consecutive year the Conference Board has ranked “excellence in execution” as the number one most important issue on the mind of CEOs globally*. Research shows that successful organisations are able to consistently outperform their peers in the execution of strategy and are able to dynamically reallocate resources to the most important opportunities and priorities well ahead of the competition. The question is not do you need to execute strategy - but rather does your organisation have the leadership, capability and the management system required to make strategy execution a competitive advantage? In this session Dr Kaplan, will share his experience and insights on the evolution of performance management and strategy. He will give his thoughts on the increasing relevance of strategy execution and performance management in time of increasing turbulence and change. He will share his most recent work on the critical link between strategy and operations highlighting the need for a “closed loop” management system to enable this critical link. Dr Kaplan will also share some of his latest, as yet unpublished, work in the areas of leadership and risk management, both critical aspects of the execution equation. The one day Summit includes the discussions of various industry leaders, case studies and best practices in Strategy Management System, break-out sessions, keynotes, peer-to-peer networking, and the post-summit live demo and interactive business excellence session. What are the key issues of my business and how can we best compete? How do we describe and measure our strategy? What action programme does our strategy need and how are we going to fund our initiatives? How do we align and motivate employees to drive our plans? How do we decide whichh business processes are most critical for our strategy? How do we link strategy with oprational plans and budgets? How do we know whether our strategy is executed well? the TDABC system that will help improve profitability and the new three-level risk management system soon to be published. Learn how to apply world class concepts in your organisation as a high potential source of competitive advantage. Executives and Managers who want to extend their understanding of the best practices and practical leadership trends and methodologies in order to accelerate organisational results. Rs.30000 (Plus 10.3% service tax) for the full day summit access, interaction with speakers, access to the special post summit interactive business excellence session, free demo licences. networking, breakfast, lunch, tea, coffee, all summit materials, etc. Register with full payment on or before October 10, 2010 and pay only Rs.25000 plus 10.3% service tax. Brand your presence at the venue and treat your esteemed clients as VIPs Specific queries may be directed to kavitam@kcapital-us.com for special elite deals. The benefits include branded tables for 10, free strategy management dashboards, interaction with Kaplan, etc. Understanding customer and portfolio/service profitability remains a major barrier to the execution of strategy for many organisations. Dr Kaplan co-authored Time Driven Activity Based Costing (TDABC). It eliminates the complexity of the traditional approach and enables an organization to dramatically reduce the cost and effort to analyse profitability. Dr Kaplan will share the foundation principles and approach of TDABC and examples to illustrate the power of this new approach emphasizing also the importance of revenue growth strategy. As Warren Buffett has said, “When the tide goes out, we find out who has been swimming naked.” Dr Kaplan will introduce the wardrobe for a new three-level risk management framework encompassing operational and compliance risk, strategy risk, and enterprise risk. Managing each risk level, involves different organisational units, responsibilities, and information systems. This not-yet published work, the focus of Kaplan’s current research with leading organizations such as the IMF, bridge the gap between strategy management and risk management. The executive leadership team expands the agenda of their periodic meetings to encompass the monitoring of risk identification and risk management processes, and also to lead explicit discussions about external events that could jeopardise the entire strategy and the enterprise itself. In order to compete effectively organizations should look at thetheir strategy or value proposition carefully so that it is unique and differentiated. Three areas will be critical for the industry in this respect: service or product attributes, image and relationship. 3.15 PM Leadership Enablers: How do we align our competencies, technology and culture for competing in the future? Dr Kaplan will demonstrate how with frameworks and cases. Robert S. Kaplan, one of the top 10 management thinkers in the world, is the Baker Foundation Professor at the Harvard Business School. competitive Advantage, his fifth Balanced Scorecard book co-authored with David Norton, and Time-Driven Activity-Based Costing with Steve Anderson. His previous books with Norton include Alignment, Strategy Maps, named as one of the top ten business books of 2004 by Strategy & Business and amazon.com, The Strategy-Focused Organization, named by Cap Gemini Ernst & Young as the best international business book for year 2000, and The Balanced Scorecard: Translating Strategy into Action, which has been translated into 22 languages and won the 2001 Wildman Medal from the American Accounting Association for its impact on practice. He also co-authored Cost and Effect, Implementing Activity-Based Cost Management, and Relevance Lost: The Rise and Fall of Management Accounting, which received the American Accounting Association Seminal Contributions to Literature Award in 2007. In 2006, Kaplan was elected to the Accounting Hall of Fame, and received the Lifetime Contribution Award from the Management Accounting Section of the American Accounting Association (AAA). 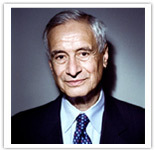 The Financial Times included him in its 2005 list of Topss 25 Business Thinkers. Kaplan received the Outstanding Accounting Educator Award in 1988 from the AAA, the 1994 CIMA Award from the Chartered Institute of Management Accountants (UK) for "Outstanding Contributions to the Accountancy Profession," and the 2001 Distinguished Service Award from the Institute of Management Accountants (IMA) for contributions to the practice and academic community.